THIS ITEM IS NOT AVAILABLE AT PRESENT. WE WILL NOT BE GETTING ANYMORE Star Wars The Last Jedi Leia 6.5 Inch Super Deformed Plush. From the Star Wars The Last Jedi collection by Comic Images. 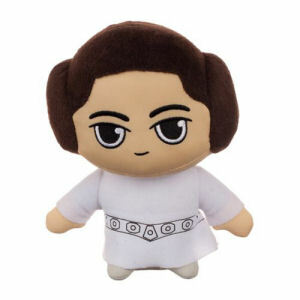 Star Wars The Last Jedi Leia 6.5 Inch Super Deformed Plush. This huggable plush measures 6.5 inches tall. Ages 3 and up.